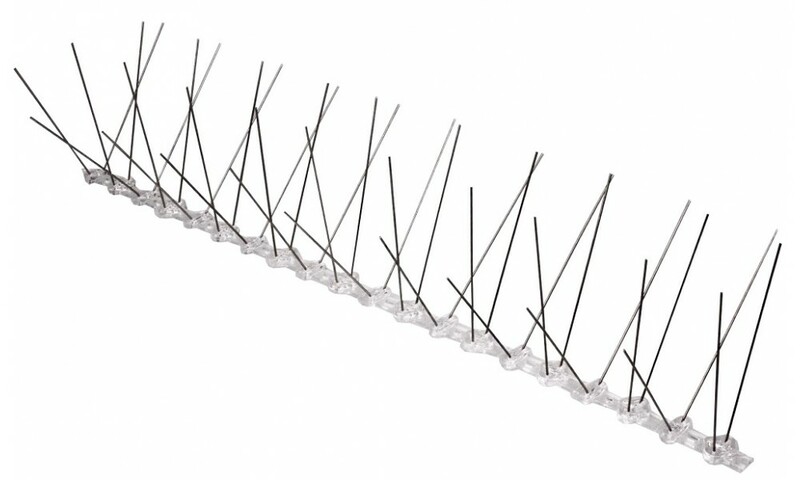 Anti Bird Spikes are a versatile range of precision engineered bird spike designed to provide effective and humane control of problem urban birds. The upward pointing wires or 'spikes' act as a physical barrier to the birds, preventing them form landing or roosting on ledges, without hurting them. The clever design provides the solution to virtually every situation where spikes are suitable. 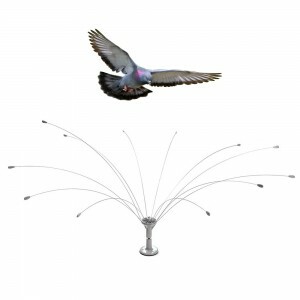 Bird Spikes can be used to protect buildings against pigeons, indian mynas, seagulls, etc in a wide variety of situations, from day time perching to night roosting sites and from narrow pipes to wide of building ledges. 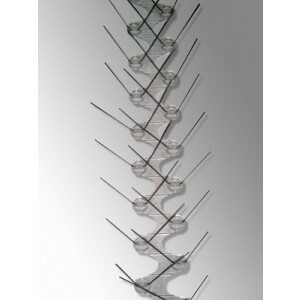 Stainless Steel Bird Spikes have the longest life expectancy and the use if high tensile strength stainless steel in particular means birds cannot easily push them out of the way or bend them out of shape. UV-protection of polycarbonate bases further offers a valuable safeguard against cracking or breaking through prolonged exposure to sunlight. 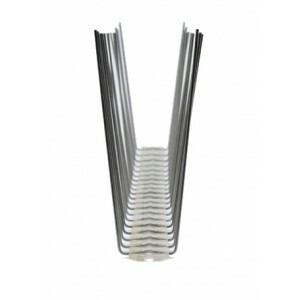 Anti Bird Spikes are designed to have a minimum 7 year life span in service. Anti Bird Spikes are far less visible than plastic ones because they do not reflect sunlight and attract far less dirt, continuing to remain tidy and unobtrusive over an extended period. Their low profile bases that reduce visibility from the ground, with translucent plastic blending well into most building surfaces. Transparent - Polycarbonate is transparent which is practically invisible. Flexible - Mount easily on flat, curved or irregular surfaces. Environmentally Friendly - And non-lethal. 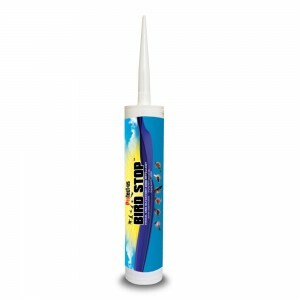 Anti Bird Spikes do not harm or injure birds. 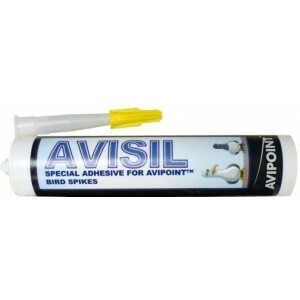 Installation - Using a suitable adhesive or clip is critical to increasing life expectancy. 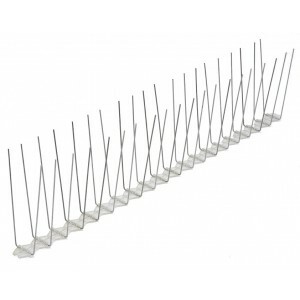 Anti Bird Spikes, also known as an anti-roosting spike or roost modification, is a device consisting of long, needle-like rods used for bird control. They can be attached to building ledges, street lighting, and commercial signage to prevent wild or feral birds from perching or roosting. Birds can produce large quantities of unsightly and unhygienic faeces, and some birds have very loud calls that can be inconvenient for nearby residents, especially at night. As a result, these are used to deter these birds without causing them harm or killing them. Anti Bird Spikes work by reducing the area available for birds to land on. 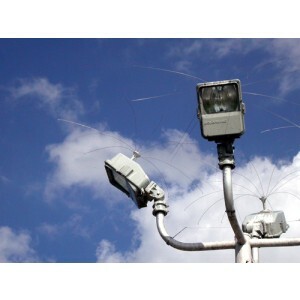 This forces larger varieties of birds, such as seagulls, pigeons, crows, to land elsewhere. As the birds do not come into contact with the spikes, the birds go unharmed. 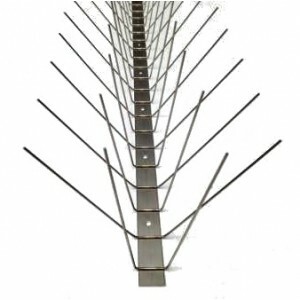 Described as "the most effective (type of) stand-alone bird deterrent", Anti Bird Spikes can be placed along ledges, walls, on top of commercial signage, closed circuit television cameras and in rain gutters, in order to prevent birds from perching on the surfaces. They are most common in city centres and coastal areas, where feral birds are more common and more likely to come into conflict with humans.